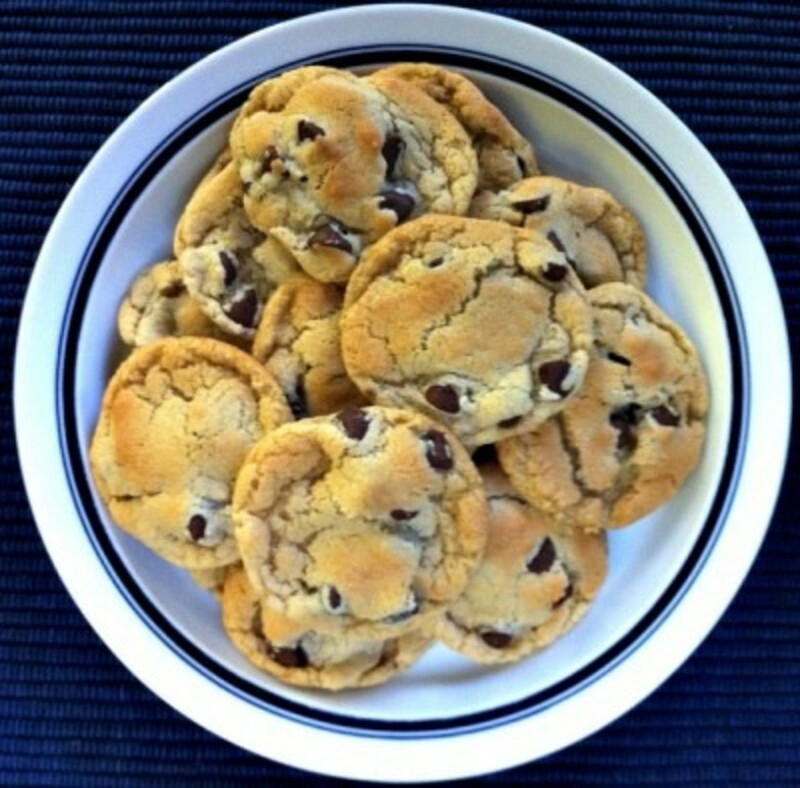 Love your own Chocolate Chip Cookie recipe? Me too! I’m no Bobby Flay, but I think the Mamas could have one serious Throw Down over chocolate chip cookies. 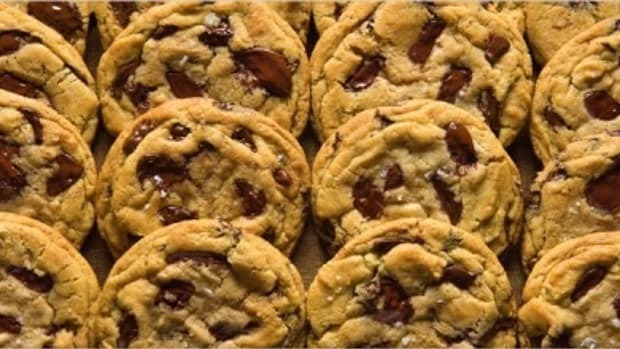 Carina, our prize-winning recipe creator, has her NYT Best Chocolate Chip Cookies Recipe. 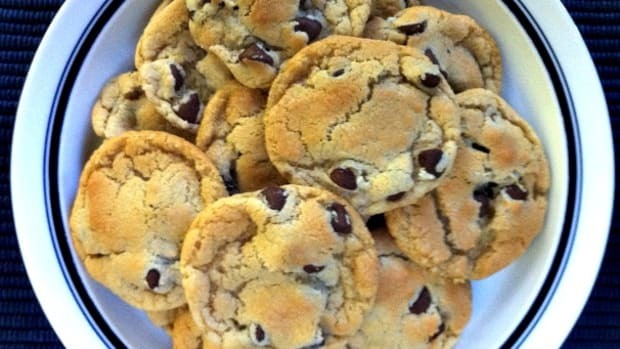 And Rachael, who can whip up some Bomb Diggity on a dime, shares her Best Chocolate Chip Cookie Recipe. Not to mention The Great Cookie Bake Off held this summer by our local writers. Yet… I will not be intimidated out of the kitchen. 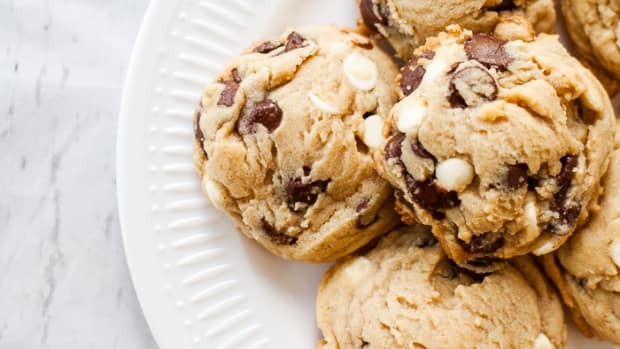 This Best-est Chocolate Chip Cookie recipe starts with the Original Nestle Toll House (R) Cookie Recipe and just gets better. Growing up, we always had a plate of these cookies in the freezer. My high school friends would come to our house just to raid the cookie stash…sometimes late at night…while we were out of town…letting themselves in. What’s the secret? 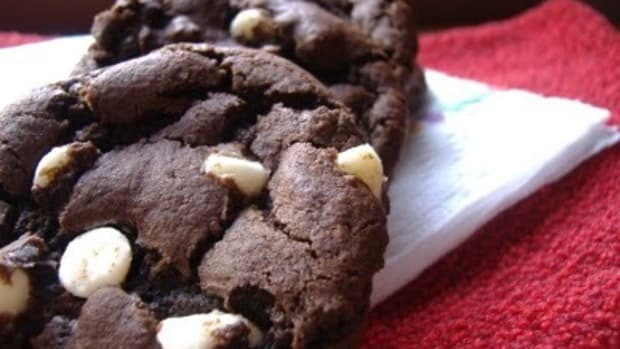 The original recipe calls for 100 percent butter, but using all butter can make the cookies turn a darker shade of brown while baking. Our trick is to use half butter and half shortening, either regular or butter-flavored. Shortening helps cookies keep their shape rather than spread all over the pan. Like Rachael, we go for the “slightly underdone” cookie style. Why don’t you be the judge? Preheat the oven to 375 degrees. In a large bowl, blend together the butter and shortening until creamy. Add vanilla and mix well. Add eggs and stir until blended. Sift together the dry ingredients and add in three equal parts to reduce flyaway flour effect. Using a spatula or large spoon, mix in chocolate chips. Using a 1/2-inch cookie scoop, place balls of dough onto an ungreased baking sheet. Bake for 7 to 9 minutes or until lightly golden. Don’t be afraid to take the cookies out while they still look light. They will continue to cook on the sheet while they cool. Makes 4-5 dozen cookies. Enough for now and the freezer. 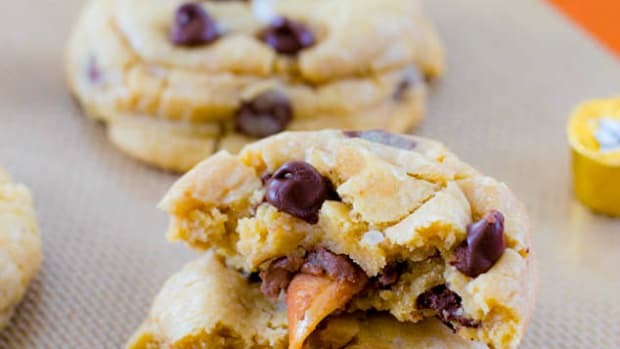 I've been perfecting this chocolate chip cookie recipe for years! They are good. And by good, I mean people assault me when I bring them to parties and they are gone within minutes. Last week Rachael shared her family’s favorite chocolate chip cookie recipe, and I won’t lie, they looked pretty good. 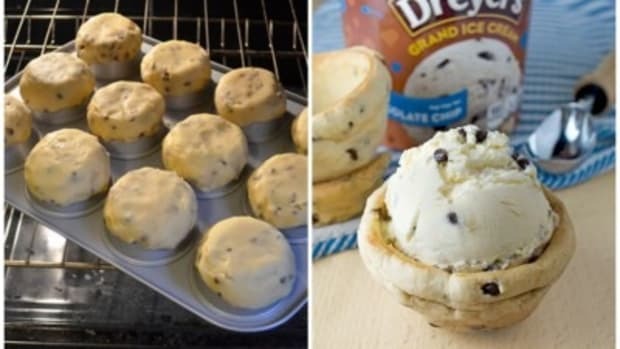 I love this cookie recipe because it is so easy to put together.